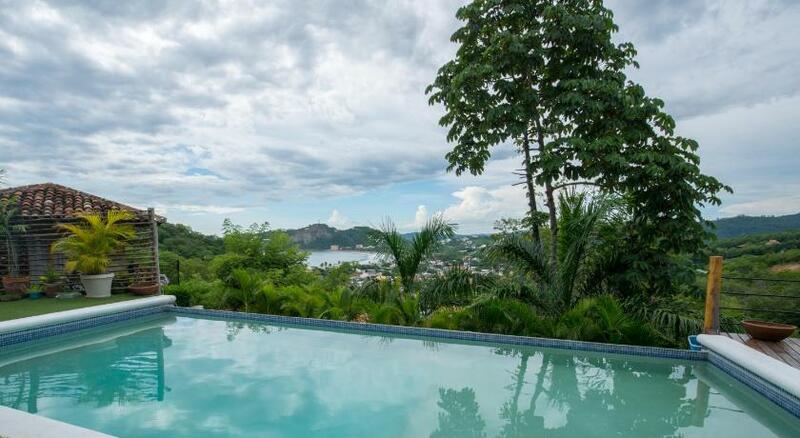 This property is located in Nicaragua, in the hills of San Juan del Sur. Guests can enjoy a pool with bay views. Free WiFi is provided in the main house and common area, free parking is available right in front of the house. The cottages come with private bathroom, hot water, minibar, tea/coffee facilities and private balcony area. The chalet has a fully equipped kitchen and a living/dining area. The property is only a 10-minute walk from town centre and it is located in a gated community with 24-hour security. Payment must be made online via Visa, MasterCard or American Express. Other credit cards are not accepted. There is a 5% processing fee for credit card transactions. Please inform Casa Andalucia in advance of your expected arrival time. You can use the Special Requests box when booking, or contact the property directly with the contact details provided in your confirmation.